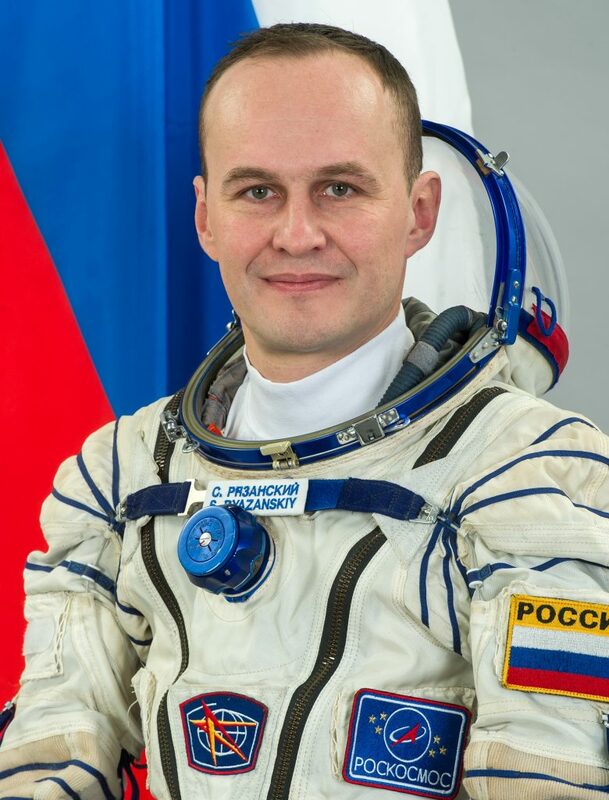 Sergey Nikolayevich Ryazansky is a Russian Biochemist and Cosmonaut who logged 166 days in space as part of International Space Station Expedition 37/38 in 2013/14. He will return to the orbiting outpost in 2017 for another four-and-a-half-month stint for ISS Expedition 52/53, serving as the commander of the Soyuz MS-05 mission. Born November 13, 1974 in Moscow, Ryazansky attended school #520 in Moscow from which he graduated in 1991 before entering Moscow State University. He graduated in 1996 as a biochemist and in 2000, he graduated from the post-graduate course of the Russian Federation State Science Center at the Institute of Biomedical Problems of the Russian Academy of Sciences. IBMP deals with most of the Russian aerospace-biology and space-chemistry studies, allowing Ryazansky to gain experience in those fields working as a junior scientist, scientist and senior scientist. He started specializing in development and testing means of preventive measures to microgravity adverse impacts such as muscle and bone loss as well as space radiation. Ryazansky also participated in different experiments such as a four-week isolation experiment in 2000, a week-long Hypokinesia experiment and a seven-day ‘dry immersion’ simulation of weightlessness. 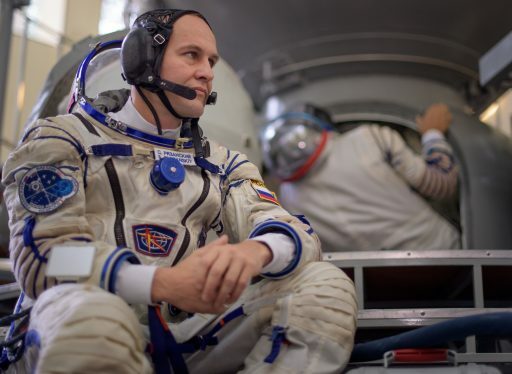 In 2003, he was selected as IBMP astronaut candidate – being the lone candidate submitted by IBMP along with five candidates selected by the Gagarin Cosmonaut Training Center and three RSC Energia selections. From 2003 to 2005, Ryazansky completed basic spaceflight training and evaluations. 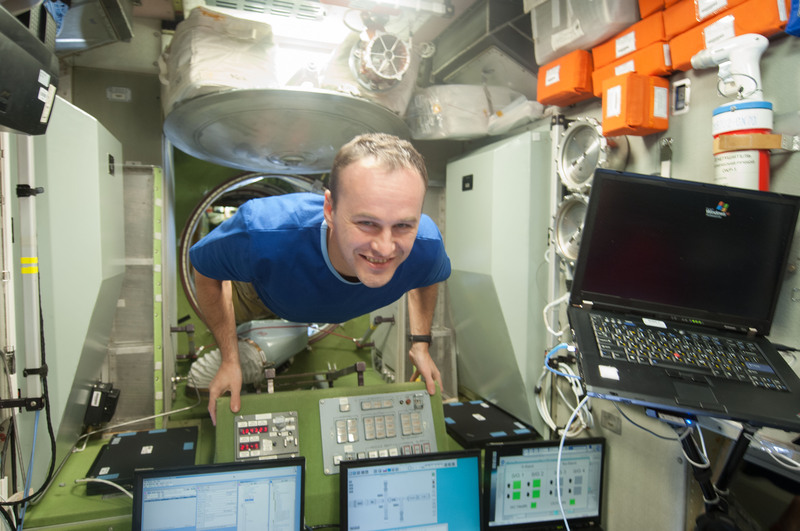 In parallel, he continued his research at IBMP and in 2006, he presented a Ph.D. thesis in biology, specializing in physiology and aerospace/naval medicine (“Particular features of autokinetic motion in microgravity”). Following basic training, he was certified as a cosmonaut-researcher (note the difference to ‘test cosmonaut’). In 2007, Ryazansky entered advanced spaceflight training with focus on long-duration missions to prepare for a flight to the Space Station. As part of his work at IBMP, Ryazansky became part of the Mars 500 project. Mars 500 was a psycho-social isolation experiment completed between 2007 and 2011 by Russia, the European Space Agency and China. The experiment facility – located at IBMP, Moscow – was used to isolate a crew of six volunteers to study the psychological aspects of an interplanetary space flight of extended duration. The mock-up facility included a simulated Earth-Mars shuttle spacecraft, the ascent-descent craft, and the Martian surface for three experiment stages of different length. The first crew lived aboard the complex for 15 days to test the technical systems and equipment aboard to prepare for longer experiments. Stage 2 was 105 days in duration as a precursor to the 520-day isolation experiment that followed. Sergey Ryazansky was a member of the crew of Stages 1 & 2. Serving as Commander, Ryazansky and his crew of three fellow Russians (one cosmonaut, a medical doctor and a sports physiologist), a French Airline Pilot and a German mechanical engineer, entered isolation on March 31, 2009. The experiment ended on July 14, 2009 and Ryazansky left IBMP in December 2010 to pursue a spaceflight opportunity. In 2010, after re-entering space flight training, Ryazansky was transferred to the Gagarin Training Center’s Cosmonaut Corps and he received his qualification as a Test Cosmonaut in 2011, enabling him to serve as Soyuz Board Engineer #1 and Commander. By February 2011, Ryazansky was assigned to his first space flight mission with Soyuz Commander Oleg Kotov and NASA’s Mike Hopkins. 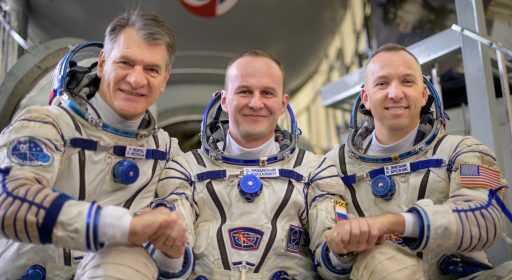 The trio lifted off aboard Soyuz TMA-10M on September 25, 2013 and reached ISS two days later to join the Expedition 37 crew members Fyodor Yurchikhin, Karen Nyberg and Luca Parmitano aboard the Space Station. 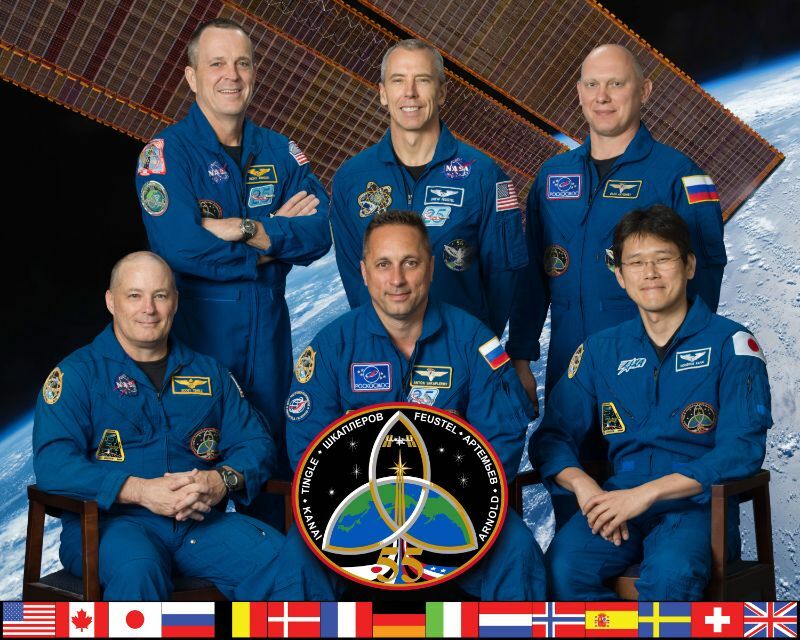 The six crew members oversaw the arrival of the first operational Cygnus resupply mission in September and saw off ATV-4 in late October before Yurchikhin, Parmitano and Nyberg went on a half-hour ride to relocate their Soyuz spacecraft for a rare direct Soyuz handover in November for the highly publicized flight of the Olympic Torch in the run-up to the games held in Sochi. Soyuz TMA-11M arrived at ISS on November 7 with Mikhail Tyurin, Rick Mastracchio, Koichi Wakata and the Olympic Torch. Kotov and Ryazansky stepped outside ISS on the 9th of November to take the torch into the vacuum of space before it was safely packed away inside Soyuz TMA-09M to return to Earth and eventually light the Olympic Fire for the 2014 winter games. The November EVA also accomplished work on a biaxial pointing platform for the UrtheCast camera system and the crew also retrieved an external experiment package. 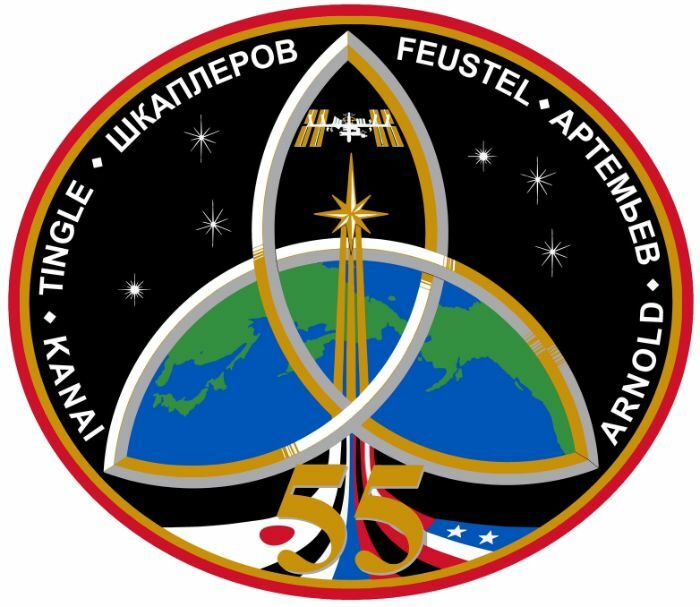 Transitioning into Expedition 38, the crew first supported the arrival of the Progress M-21M cargo spacecraft that launched from Baikonur on November 25 and performed a flyby of the Station on the 28th to test out the new KURS-NA radio navigation system that has since become the primary navigation asset of the new series of Progress and Soyuz MS spacecraft. The automated approach of the craft on November 29 stalled at 53 meters from ISS due to a fault indication related to KURS, requiring Oleg Kotov to bring the spacecraft in for a manual docking, marking the delivery of 2.4 metric tons of cargo. December 2013 turned out to be much busier than planned when one of two critical cooling loops on the Station’s U.S. Segment suffered a fault within its central Pump Module, causing the flow of ammonia coolant to arrest. A pair of spacewalks, handled by Hopkins and Mastracchio, were needed to complete the replacement of the Pump Module – completing very efficient work that allowed a third budgeted spacewalk to be eliminated. 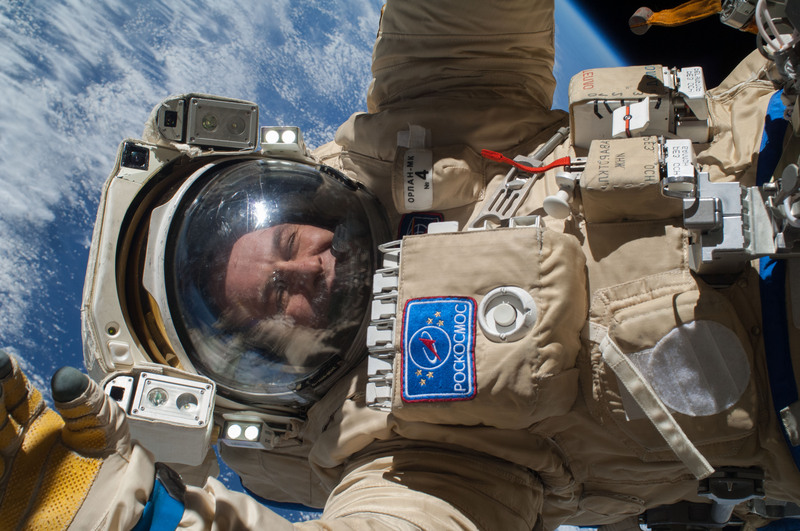 On December 27, Ryazansky and Kotov stepped outside for the installation of the two UrtheCast cameras which initially appeared to be a full success, but Mission Control failed to receive data from the medium-resolution unit, requiring the spacewalkers to backtrack their work and remove the cameras for return to ISS. They also removed the external Vsplesk experiment and installed in its place the Seismoprognoz payload to measure Earth’s plasma environment for the prediction of Earthquakes. The EVA lasted eight hours and seven minutes, setting the record for the longest Russian spacewalk ever performed. The UrtheCast cameras were eventually installed in a six-hour & eight-minute EVA on January 27, 2014. In addition to a busy science program of over 200 experiments, the crew also saw off the Progress M-20M freighter and Cygnus Orb-1 cargo vehicle in February while welcoming the M-22M Progress to keep up a steady chain of supplies for ISS. 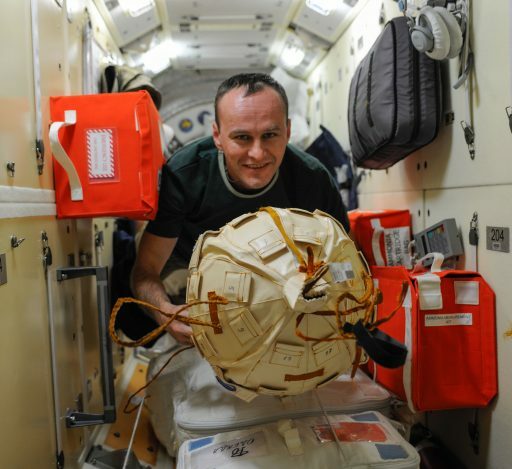 Expedition 38 came to an end on March 11, 2014 with a safe landing of Soyuz TMA-10M after a one-day weather delay. 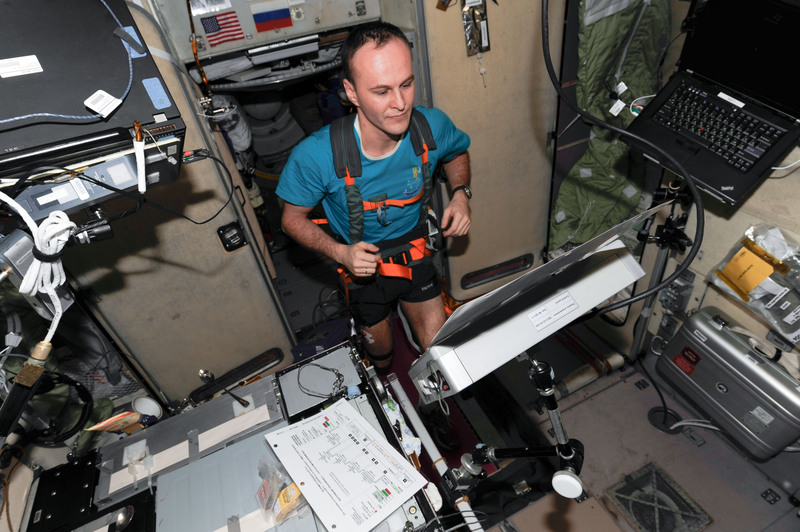 During his flight as part of Expedition 37/38, Sergey Ryazansky logged 166 days, 6 hours and 17 minutes in space and amassed 20 hours and 5 minutes of EVA time. Ryazansky re-entered training operations in October 2014 with prospects of a short interval between missions as he was assigned to a preliminary crew with Randy Bresnik and Norishige Kanai, completing winter survival training in February 2016 followed that June by simulated Soyuz water landings. Initially assigned to the Soyuz MS-07 mission, Ryazansky and Bresnik transitioned to the MS-05 mission in September 2016 as part of a shuffle in crews. Now partnered with veteran Astronaut Paolo Nespoli, Ryazansky and Bresnik will launch on Soyuz MS-05 with Ryazansky in command of the spacecraft. They will spend four and a half months on ISS after their mission was delayed significantly by problems with the Soyuz MS-04 spacecraft that needed to be replaced by the vehicle originally intended to fly the MS-05 mission.